This 40' VanDutch Red, new collection into Golden Yacht Charters Selection, it's interior layout sleeps up to 10 guests in 5 staterooms, including a master suite, 2 VIP staterooms, and 2 twin cabins. She is also capable of carrying up to 5 crew onboard to ensure a relaxed luxury yacht experience. Timeless styling, beautiful furnishings and sumptuous seating feature throughout her living areas to create an elegant and comfortable atmosphere. This yacht's impressive leisure and entertainment facilities make her the ideal charter yacht for socializing and entertaining with family and friends. She is the perfect combination of performance and luxury. Our 48ft Vessel awaits you. Unwind or unravel and indulge your leisure time, our interior cabin features two bedrooms, two bathrooms, a dining sectional and a kitchen that includes a stove and a microwave. Need Apple® TV? You can watch it here. The award-winning VanDutch 55 offers a yachting experience like no other. Complete with an even greater number of innovative features than its predecessors, the exclusive VanDutch 55 is famed for its sheer elegance and cutting-edge design. 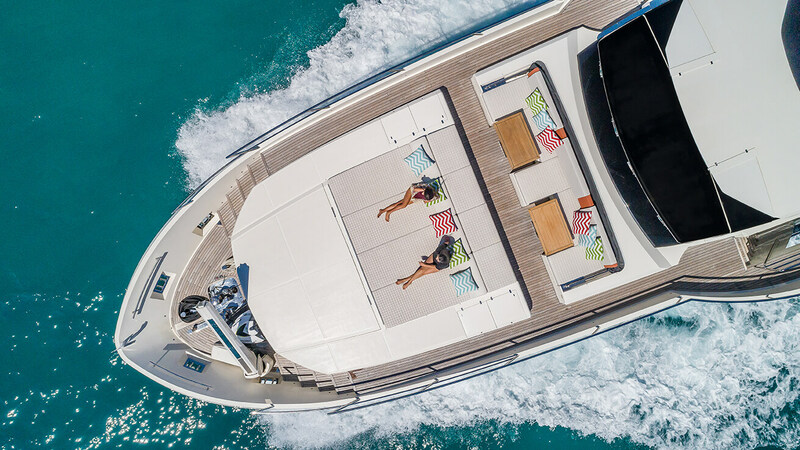 Featuring a massive, entertaining top deck with seating for 16+, the VanDutch 55 is engineered to exceed expectation, redefine day cruising, and do it all in modern style. Every square foot of our innovative deck makes for a spacious and memorable yachting experience, plus a cabin with many features for your comfort.